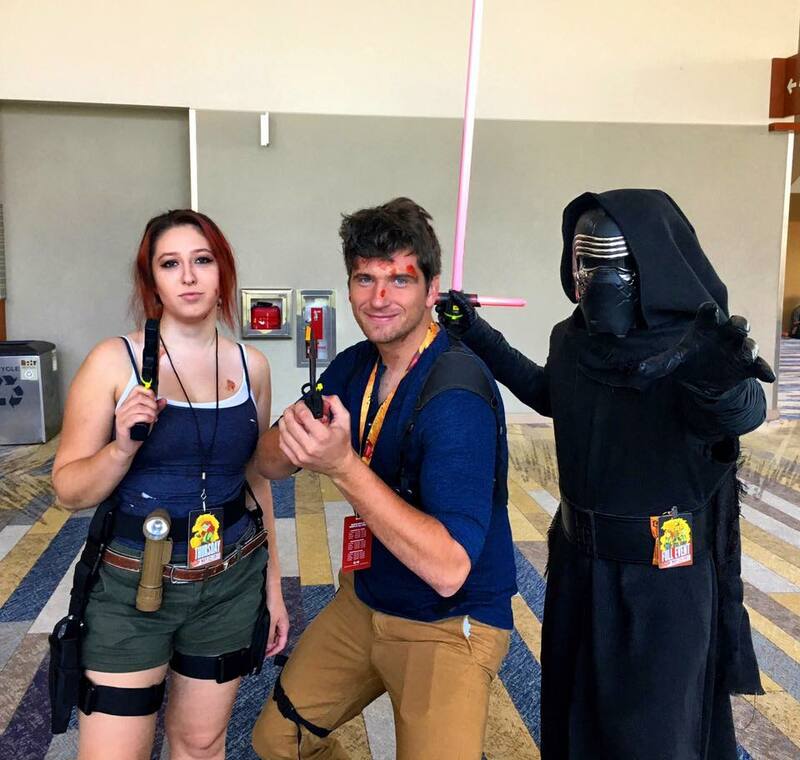 Phoenix Comicon was happening last week and I had a chance to go to the full event and had a blast! 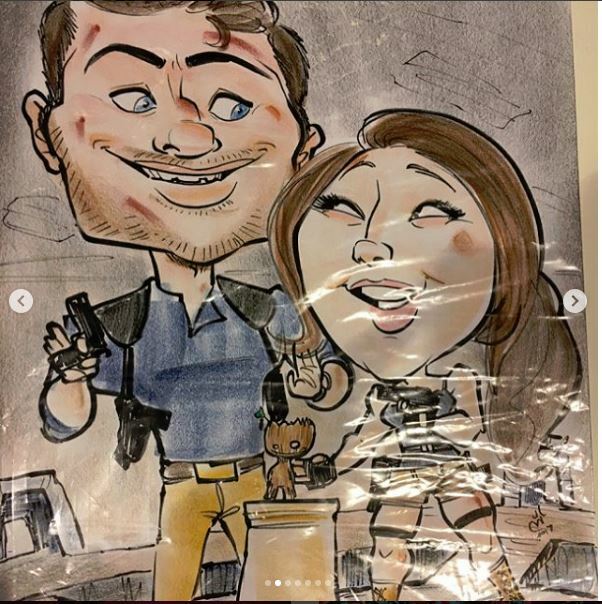 This year was better then any other because I was able to go with my girlfriend and we dressed as s couple cosplay as Lara Croft and Nathan Drake. 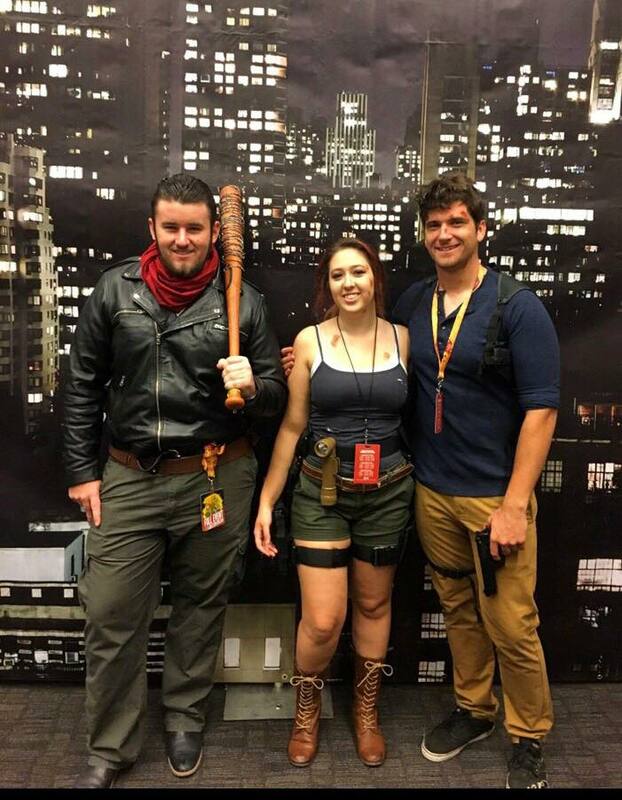 My friend Killian also went and of course he dressed as Negan. This Con was different because I got to relax more. Going as a cosplay was a lot of fun since last time I went as developer for a game I helped developed called Crimson Nights and had to work a booth. This time, I had a chance to experience the cosplay feeling and now I know why people like to do it, it's so much fun dressing as a character for the day. The first day was so much fun because so many people came up to us asking for pictures and since they asked consent, we were more than happy to pose! Cortana and I'm probably going to go as a ODST solider. While at the Con I saw that somebody was doing Charactures and I have always wanted to get one so Madison and I got one both in character which I thought was funny. This was one of the highlights of being at the con and the artist was really nice and funny and knew who we were which there was a few times we were mistaken for other things but overall most people knew who we were. 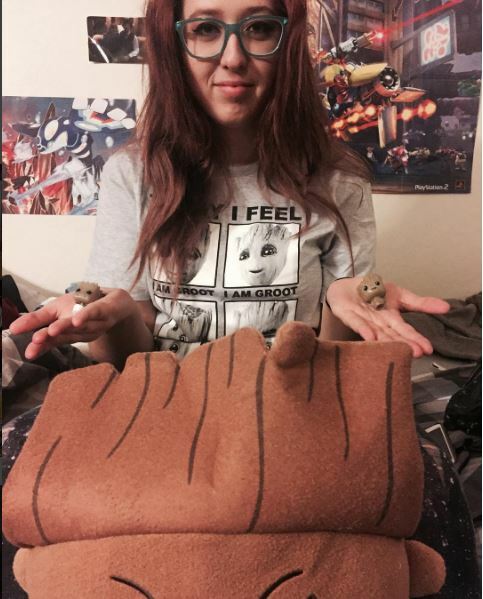 Also I think my girlfriend has a groot addiction the whole time at the Con it was hey look at the baby groot its so cute and I want a million of them so I ended up buying her a baby groot tee shirt and one of the giant plushes of baby groot. Its like she has a tree collection. 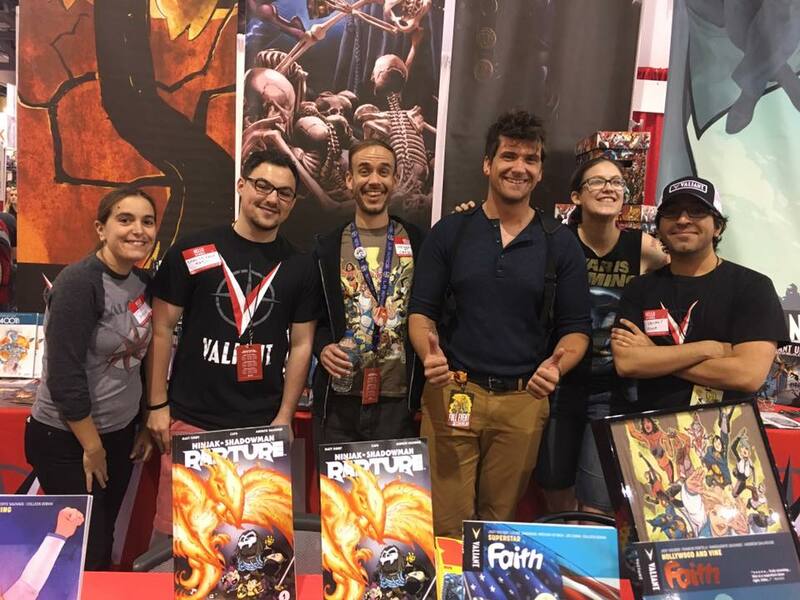 Then the coolest thing happened I so recently I have been reading an independent comic company called Valiant comics and I have to say how awesome they are the character the writing its all just epic as hell. 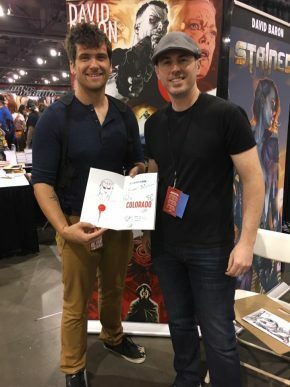 So I didn't know that they would be at comicon so when I saw their booth I lost my mind and was fanboying all over the place and asked them for signatures and I even got to meet the CEO of the company personally walked me over to David Baron the Artist for Bloodshot and many other titles including his own called stained which I had him sign the first edition of the issues and the posters and talked about if I'm ever in New York that I should stop by and check them out!